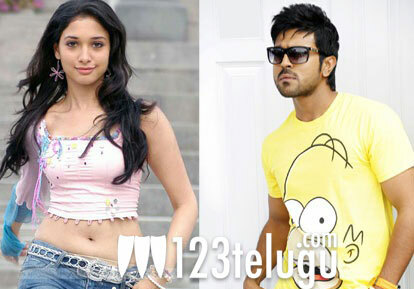 Ram Charan and Tamannaah have returned to India after a long schedule in China where they were shooting for their upcoming film Rachcha. We had earlier reported that a song was shot in this schedule in a virgin location in China and another fight sequence was shot in the bamboo forest in a town called Anji. Ajmal is playing the villain’s role in the film. Sampath Nandi is directing the film and Paras Jain and NV Prasad are producing the film on Mega Supergood Films banner. Mani Sharma is composing the music. Meanwhile Ram Charan’s engagement with Upasana Kamineni is going to be held at a private resort near Golconda Fort, Hyderabad on December 1. The entire Mega family is said to be busy making preparations for the big day.